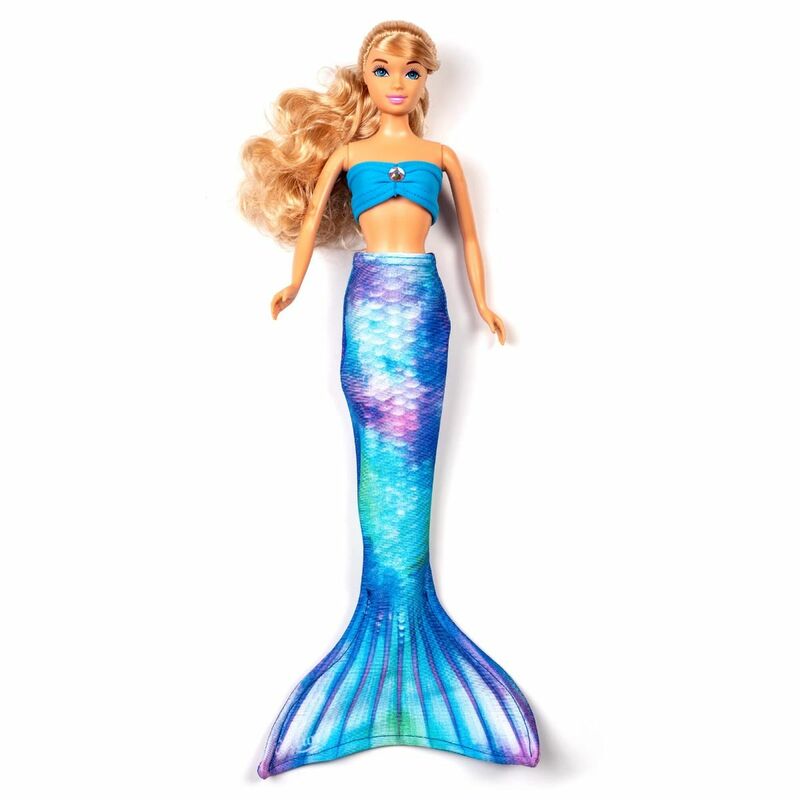 Now kids can take their dolls to the pool too, with Fin Fun’s “look alike” mermaid doll tail sets! The two-piece set features our best-selling design, Watercolor Waves, in swimmable fabric. Doll not included. Your child can make her fashion-sized doll part of her mermaid pod with our multicolored mermaid tail set! Imagine the countless hours she’ll spend playing make-believe with her special doll, dressed in a look-alike tail and top in the same premium fabric as her own full-sized Limited Edition mermaid tail. Besides providing the perfect opportunity for a photo op, your child will adore matching her doll in the exact same mermaid tail set!